LIMA, Peru and SMITHS FALLS, ON, Jan. 9, 2019 /PRNewswire/ - Canopy Growth Corporation (TSX: WEED) (NYSE: CGC) (the "Company" or "Canopy Growth"), through its Latin American-focused subsidiary, Canopy LATAM Corporation ("Canopy LATAM"), is proud to introduce Spectrum Cannabis Peru S.A.C. ("Spectrum Cannabis Peru"), the newest member of the growing global Spectrum Cannabis family. Spectrum Cannabis Peru will operate as part of the Canopy LATAM network and with Peru poised to introduce new regulations for the use of medical cannabis, this new in-market entity is uniquely positioned to support the opening of the Peruvian market while leveraging Canopy Growth's global expertise in patient and physician education, as well as in medical cannabis production. This announcement directly supports Canopy Growth's strategy of securing first mover advantage to realize the opportunities generated by evolving cannabis regulations across the region and the world. Until regulations are published supporting patient access to medical cannabis, Spectrum Cannabis Peru will focus on advancing education activities, including working closely with the medical community to foster greater understanding of the potential uses of medical cannabis while reducing stigma. While in Lima to participate in the launch of Spectrum Cannabis Peru, Dr. Mark Ware, Canopy Growth's Chief Medical Officer, is advancing the Company's commitment to education through participation in a range of medical cannabis-focused events for physicians, healthcare professionals, and cannabis-focused patient groups. This includes addressing healthcare professionals currently attending an introductory course on cannabis held by the medical college of Peru ("Colegio Medico del Peru"), as well as delivering an address and participating in the First Meeting of American Professional Experts working with Phytocannabinoids ("1° Encuentro Americano De Professionales Expertos En Fitocannabioides") held in Lima from January 10 to 11. The conference will also see Dr. Ware, in his capacity as a family physician focused on pain management, participate in the signing of the Lima Declaration on the medical use of cannabis. This physician-led declaration encourages governments, regulators, and health authorities throughout the region to ensure patient access and scientific research are the cornerstones of all Latin America medical cannabis laws. Further, the declaration promotes collaboration across the region, and calls on healthcare professionals to contribute to informed access for cannabis-based medicines while asking patients to advocate and defend their right to such treatments. As previously announced, production operations are advancing at the Company's farm in Colombia, with initial cultivation having started in late 2018. In line with the plan for sustainable regional production based in the country, the Company is pleased to report that licenses have now been received for the production of cannabis in all 126 hectares (13.6 million sq. ft.) of suitable growing area at the farm. This is an increase from the previously licensed 42 hectares (4.5 million sq. ft.) of production area and to the Company's knowledge, the wholly owned farm now represents one of the largest fully licensed cannabis production facilities in the world. This also positions Canopy Growth to meet the emerging regional supply demands as a number of countries across Latin America update their regulations and in so doing, open their markets for the import and sale of Spectrum Cannabis' high-quality cannabis-based medical products. As regulations across the region continue to evolve at a rapid pace, Canopy Growth is well positioned to seize these new opportunities through its subsidiary Canopy LATAM, and the in-market entities that work collectively as part of the Company's LATAM structure. A full leadership team is now in place at both the regional and local level to guide these activities and draws on extensive experience from leading organizations in the pharmaceutical, food and beverage, and consulting industries. With a fully licensed production site in Colombia, newly launched operations in Peru, a rapidly evolving landscape in Mexico, and clinical trials underway in Chile, Canopy LATAM and Canopy Growth are uniquely positioned to realize the significant opportunities across Latin America with the ultimate goal of serving patients through education and high quality, reliable, medical cannabis products. "We're proud to welcome Peru to the growing family of Spectrum Cannabis countries and to have the chance to serve Peruvian patients and healthcare professionals in the future," said Mark Zekulin, President and Co-CEO, Canopy Growth. "Canopy Growth is a global leader in providing safe, regulated, medical cannabis and by leveraging our experience together with local expertise, we look forward to helping build a responsible Peruvian cannabis industry today and into the future." "The landscape for medical cannabis continues to evolve rapidly in Latin America and Peru is poised to take a leading role with the introduction of new regulations which we hope will prioritize patient access", said Antonio Droghetti, Managing Director, Canopy LATAM. "Launching Peruvian operations enhances our ability to engage with regulators, healthcare professionals, and patients to ensure they have the information they need while also preparing for the future sale of medical cannabis products across the country." "With the full licensing of our 126-hectare farm, Spectrum Cannabis Colombia and Canopy Growth have demonstrated yet again our ability to execute and prepare for the rapidly rising demand that exists for medical cannabis", said Bibiana Rojas, Country Managing Director, Spectrum Cannabis Colombia. "Our ambitious goal of sustainable regional production for medical cannabis is one step closer in Latin America and we're proud to play a role in increasing the total potential production of Canopy Growth as it builds markets internationally." Canopy Growth is a world-leading diversified cannabis and hemp company, offering distinct brands and curated cannabis varieties in dried, oil and Softgel capsule forms. Canopy Growth offers the world's only medically approved vaporizers through the Company's subsidiary, Storz & Bickel GMbH & Co. KG. From product and process innovation to market execution, Canopy Growth is driven by a passion for leadership and a commitment to building a world-class cannabis company one product, site and country at a time. The Company has operations in 13 countries across five continents. The Company is proudly dedicated to educating healthcare practitioners, conducting robust clinical research, and furthering the public's understanding of cannabis, and through its wholly owned subsidiary, Canopy Health Innovations ("Canopy Health"), has devoted millions of dollars toward cutting edge, commercializable research and IP development. Canopy Growth works with the Beckley Foundation and has launched Beckley Canopy Therapeutics to research and develop clinically validated cannabis-based medicines, with a strong focus on intellectual property protection. Canopy Growth acquired assets of leading hemp research company, ebbu, Inc. ("ebbu"). Intellectual Property ("IP") and R&D advancements achieved by ebbu's team apply directly to Canopy Growth's hemp and THC-rich cannabis genetic breeding program and its cannabis-infused beverage capabilities. Through partly owned subsidiary Canopy Rivers Corporation, the Company is providing resources and investment to new market entrants and building a portfolio of stable investments in the sector. From our historic public listing on the Toronto Stock Exchange and New York Stock Exchange to our continued international expansion, pride in advancing shareholder value through leadership is engrained in all we do at Canopy Growth. Canopy Growth has established partnerships with leading sector names including cannabis icon Snoop Dogg, breeding legends DNA Genetics and Green House seeds, Battelle, the world's largest nonprofit research and development organization, and Fortune 500 alcohol leader Constellation Brands, to name but a few. Canopy Growth operates ten licensed cannabis production sites with over 4.3 million square feet of production capacity, including over 500,000 square feet of GMP certified production space. The Company operates Tweed retail stores in Newfoundland and Manitoba and has entered into supply agreements with every Canadian province and territory. 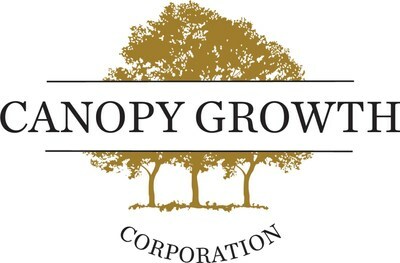 For more information visit www.canopygrowth.com.